The possibilities are endless when it comes to the best online store plugin for WordPress. There are so many options it can be difficult to know where to begin. How do you select a single plugin from the vast sea of available software? What do you need to know to make that choice? Fortunately, we’ve done most of the heavy lifting for you. For most sites, WooCommerce will be the best online store plugin for WordPress. The best online store plugin for WordPress varies according to your needs. Depending on what you intend to sell and how you intend to sell it, you will ultimately have to make a choice on your own. That being said, we think these four stands out above the rest, and at least one of them should suit your e-commerce requirements. WooCommerce has very little negative feedback from consumers. If you don’t have a clue as to what exactly you’re going to be selling and just need a general starting point, trying WooCommerce will serve you well. It is currently the most popular online store plugin for WordPress out there, with 1.7 million active users. 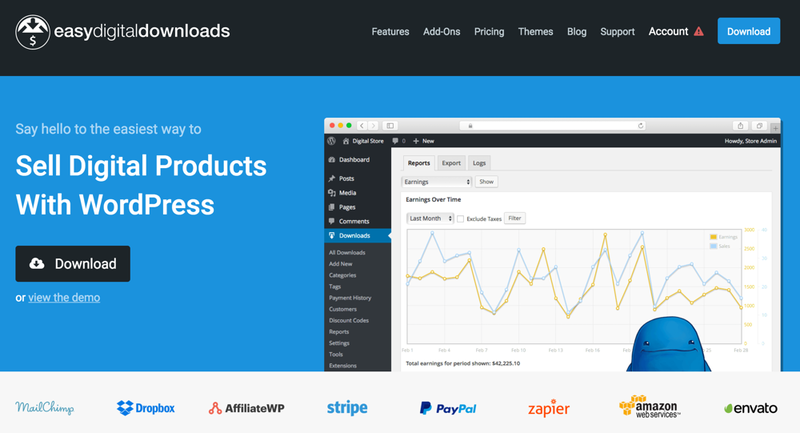 Easy Digital Downloads is the best online store plugin for WordPress sites that primarily sell digital products. Ecwid is built for simplicity and may be a good alternative to WooCommerce for new, smaller e-commerce businesses. Jigoshop comes with plenty of customizable themes and features that let you create visual layouts of customer data. It has fewer user reviews overall, however. Here are a few of the things that make WooCommerce one of the 4 best online store plugins for WordPress. PayPal and credit cards are the most popular ways to shop online, so that may be all you need. But it’s nice to have other options, too. You never know when you might snag an extra customer just because they want to use a particular payment option. WooCommerce has e that make it easy to sell subscriptions and memberships. This is one feature you will have to pay for, however. But you can potentially recoup your cost with just a few sales. Data is king when it comes to e-commerce. Part of what makes WooCommerce one of the best online store plugins for WordPress is its customer management tools. The customer history list gives you access to all the information provided by your customers and lets you export it to a list. Armed with this knowledge, you can more easily determine who your best customers are, what makes them tick, and how to focus marketing efforts on their specific demographic. WooCommerce allows users to log in to their site and create their own user profiles. With extra extensions, you can also add functionality that allows for rewards programs and wishes lists, allowing customers a more in-depth shopping experience. We give WooCommerce a 5 out of 5. As the name implies, Easy Digital Downloads is best suited to selling digital products. It’s not necessarily worse than WooCommerce – it’s just different. It includes many similar features and has many of the same strengths. It’s just a little more specific and some of the features that come free in WooCommerce come in the form of paid-for extensions in Easy Digital Downloads. Unlike WooCommerce, Easy Digital Downloads doesn’t come with all of these payment gateways pre-installed. You will have to pay for some of them in the form of extensions. Easy Digital Downloads comes with some extensions that are particularly useful for those who focus on selling digital products like eBooks, subscriptions, online courses or software, and memberships. Extensions such as Software Licensing, MailChimp, and ConvertKit are must-haves for the virtual entrepreneur. One Easy Digital Downloads add-on even allows you to accept recurring payments, making subscription and membership selling a breeze. Easy Digital Downloads excels in the data department as well. It provides a comprehensive customer management center that stores a separate file for each of your customers. It even has an area explaining the lifetime value of each customer and full details on their buying habits. Customer profiles are integrated with this information. We give Easy Digital Downloads a 4.5 out of 5. If all of this talk about the best online store plugins for WordPress is overwhelming for you, Ecwid may be the plugin of choice for you. Ecwid is known for its simplicity and ease-of-use. You will be comfortable with Ecwid’s basic features within just a few hours of using it. Ecwid is not made specifically for WordPress. But just by copying and pasting some code, you can add a store to your site. You can even manage multiple website stores from a single place. Ecwid is best-suited to small and mid-size businesses. One drawback to Ecwid is that it only comes with four themes that are not customizable (unless you have the programming skills needed to tamper with the source code). To change the appearance of your Ecwid store, you will need to either learn some coding or hire a freelance programmer. We give Ecwid a 4 out of 5. Jigoshop is similar to Woocommerce. While you need extra extensions to customize the platform, most of them are affordable, and some are free. When it comes to themes, Jigoshop has plenty – around 70, in fact. You won’t have trouble finding the right look for your Jigoshop store. While the other plugins also do a good job of providing customer data, Jigoshop does a fantastic job of presenting that data in a visual format. Complete with an elegant reports section, exportable graphs, and easy-to-manage buttons, you won’t have any problems figuring out who your best customers are or what they’re most interested in. The modern, clean dashboard has links to every Jigoshop add-on. Whereas WooCommerce requires you to jump from toolbar tab to toolbar tab, Jigoshop has all of its buttons integrated into a single page. We give Jigoshop a 3 out of 5. Accuracy and honesty are important to us. We mull over as many customer reviews and testimonials as possible to get a better idea of what the community around a product has been saying about it. Along with the reputation of the brand in general, this can go a long way toward painting a clear picture about the quality of the product as well as any problems or deficiencies you’re likely to encounter. All of these online store plugins for WordPress have great reputations. The only exception is Jigoshop. It’s used much less frequently than the others and doesn’t have nearly as many reviews. While it doesn’t necessarily have a bad reputation, it doesn’t have a good one, either. 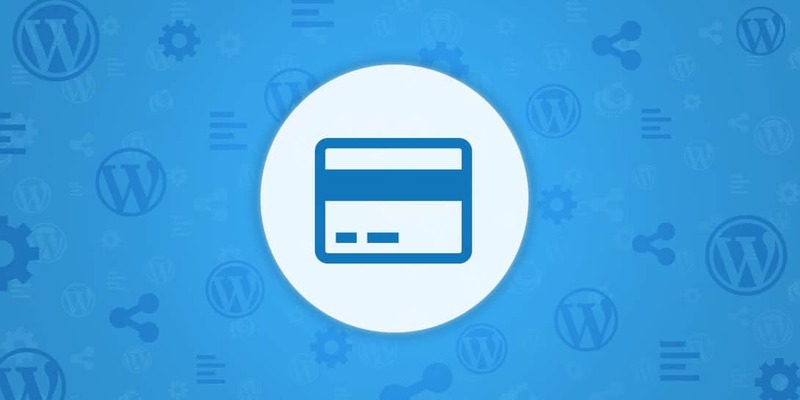 WooCommerce and Easy Digital Downloads have the best reputations among any of the online store plugins for WordPress. Most WordPress entrepreneurs will find that one or the other suits their needs. But what does the average user have to say? We can answer that question directly by reading reviews. Let’s look at some user reviews for WooCommerce. According to the 361 WooCommerce reviews shared on G2crowd.com, the average user gives this online store plugin for WordPress 4.3 out of 5 stars overall. Kimberly H. describes WooCommerce as being easy to use and configure. According to her, anyone can figure out how to use it and integrate it into their site to manage orders. The free themes included “look beautiful,” and there’s no cost associated with the basic functions. One complaint this user had was that WooCommerce is “not suitable for mobile devices.” Overall, she gave it a 4.5 out of 5 rating. Jasmine G. gives WooCommerce a 5 out of 5. She calls it “very user-friendly.” This user claims to have zero coding and web development experience. But with WooCommerce, she has been able to run an e-commerce business. Jasmine G. notes that WooCommerce comes with many compatibility plugins for those who want to add additional features to their site. And according to her, payment methods aren’t an issue, as PayPal is included. The one and only thing she dislikes about WooCommerce is that they don’t yet allow for bitcoin payments to be made (unlike Easy Digital Downloads, which offers Bitpay as a payment option). Easy Digital Downloads has an average rating of 5 stars on WPscoop.com (although there are only 4 reviews total). Kakoma calls this online store plugin for WordPress the “Swiss-army knife” of e-commerce plugins. He gives it a 5 out of 5. Ariel gives Easy Digital Downloads a 4 out of 5. She says everything about it is wonderful. Her only complaint is the fact that it gets “a little bit boggish” from time to time. Still, it’s great for digital downloads, she says. Out of 7 reviews on FitSmallBusiness.com, Ecwid has an average rating of 5 stars. Nicolas G. notes that Ecwid is highly scalable and works with e-commerce sites of all sizes. It has a great appearance that “does not push your customers away.” He describes it as “a totally must have” for anyone building an e-commerce site. His only negative comment is about the name “ecwid” itself, which doesn’t speak much to the plugins’ performance. Jigoshop reviews are few and far between. And the user reviews that do exist vary from one extreme to the other. On WordPress.org, however, the plugin only scores a 3.7 out of 5 stars. When making a decision about which online store plugin for WordPress to use, consider your experience, the size of your business, and what it is you will be selling. If you aren’t sure of the answers to any of these questions, WooCommerce is a good place to start. For digital products, Easy Digital Downloads is a no-brainer. For a small business that you expect to grow quickly, Ecwid may be the best option. Jigoshop works well if you want an alternative to WooCommerce for whatever reason. Overall, go with the plugin that sounds like it would work best for you given the nature and size of your business. In the end, the best online store plugin for WordPress will be the one that works best for you and your business. WooCommerce is a good place to start for beginners. Easy Digital Downloads is the go-to solution for everything digital. Ecwid is simple. And Jigoshop can give you all the customer data you need in an easy-to-read way. Pick the best online store plugin for WordPress wisely.